The world is becoming more crowded and fast-paced. Both consumers and brand managers are inundated with an overwhelming number of messages every day, and it’s only getting noisier—causing the human mind to become increasingly used to tuning out messaging efforts. As communicators, it is harder than ever to break through this noise and reach your target audiences so that they don’t just see your message—they remember it. Elizabeth Edwards, founder of Volume PR, will provide specific strategies and tactics based on behavioral science laws that you can implement immediately to increase positive responses and make your content exponentially more successful. 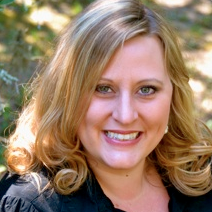 Elizabeth Edwards is an award-winning communicator, speaker, author and founder of Volume PR. Her mind-science practice has led to the development of a map of guidelines to the laws and effects that govern how the American mind is hard wired to be positively engaged. Edwards and her team train and support brands from Fortune 100s to start-ups with their one-of-a-kind system for success. A graduate of Pepperdine University, Edwards previously worked in communication at Boeing’s Rocketdyne Propulsion & Power and at Ogilvy PR’s telecom practice.